Theo Walcott would have been better off re-joining Southampton rather than moving to Everton, according to Charlie Nicholas. Walcott has scored five goals in 19 Premier League appearance since his £20m move from Arsenal to Everton in January, including two this season under new manager Marco Silva. The 29-year-old told Sky Sports he is enjoying life at Goodison Park in an interview with Alex Scott ahead of Everton's meeting with his former club at the Emirates Stadium on Super Sunday. But Nicholas is disappointed he is not getting more chances to play as a central striker and feels a return to his boyhood club Southampton would have been a better fit for him. "I think he's done okay since joining Everton, he's been one of their better players out of the new signings and has got a few goals," the Soccer Saturday pundit told Sky Sports. 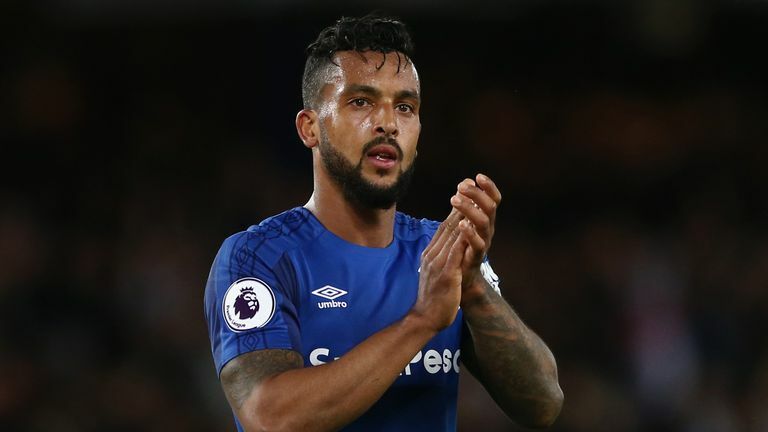 "Everyone knows Theo Walcott needs a lot of chances to find the back of the net and it's a question of whether he suits the style at Everton, which he and his team-mates are still adapting to under Marco Silva. "Was it the right move for his career? I didn't think so. He was at that point where no one knew whether he was a centre forward or a winger, and it looks like he's playing on the right for Everton. "I actually thought he would go back to Southampton - and he nearly did, but I believe Everton offered him a better package and you can't blame him for that. "They say don't go back, but he left St Mary's as a fresh-faced youngster and I think the move there would have done him good with their style of play. "It will be interesting to see how he does against his old club on Sunday."